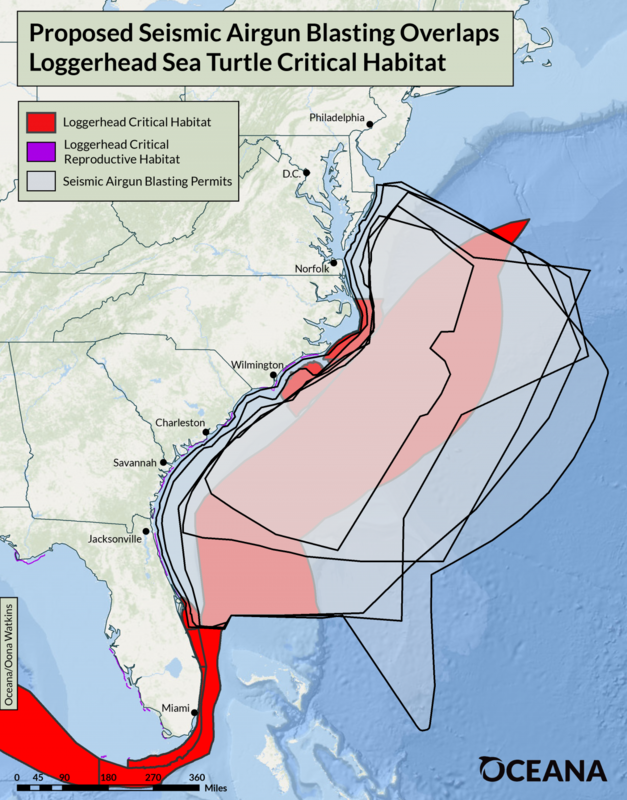 Despite a recent decision to protect the Atlantic Ocean from offshore drilling, seismic airgun blasting, an extremely loud and dangerous process used to search for oil and gas deposits deep below the ocean floor, is still being pursued in an area twice the size of California, stretching from Delaware to Florida. 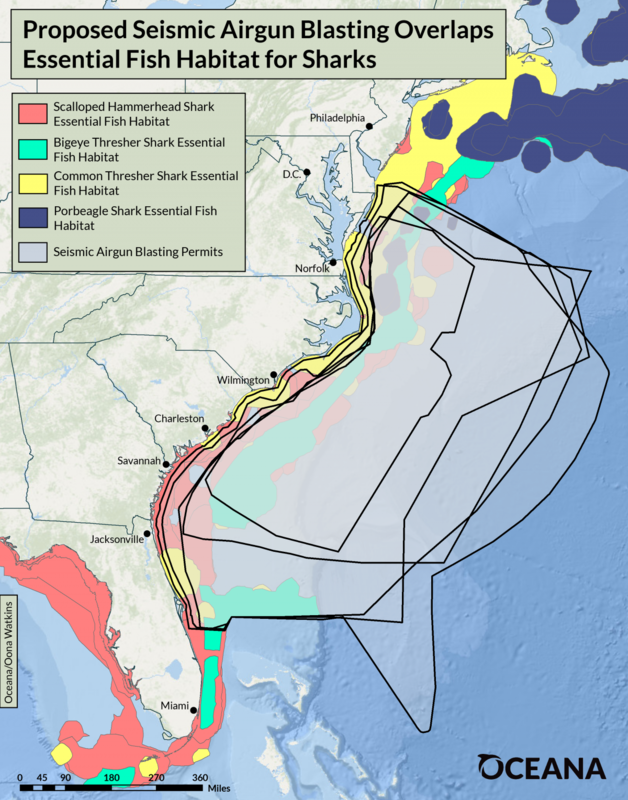 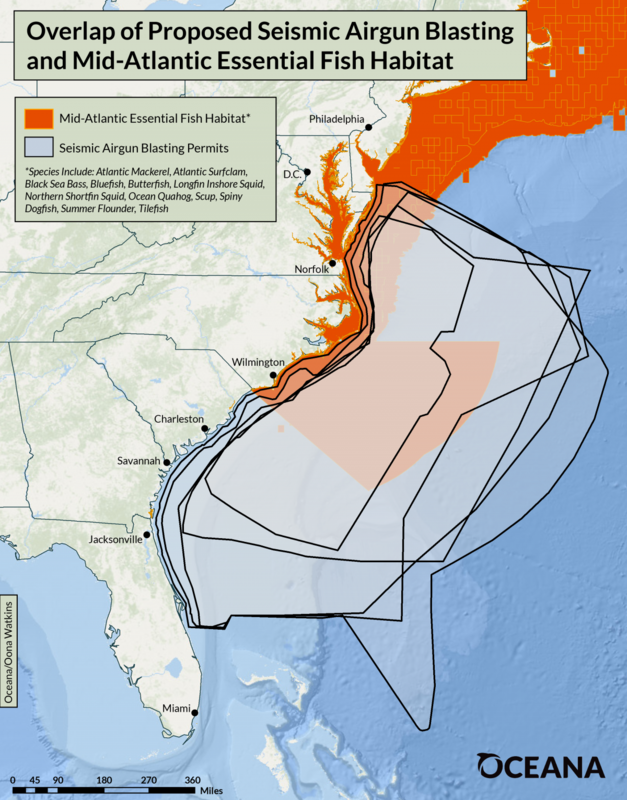 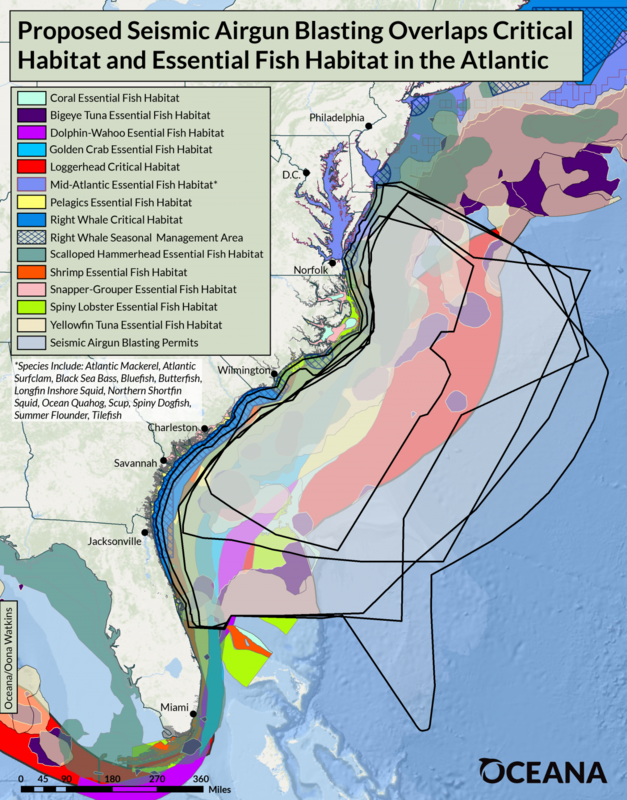 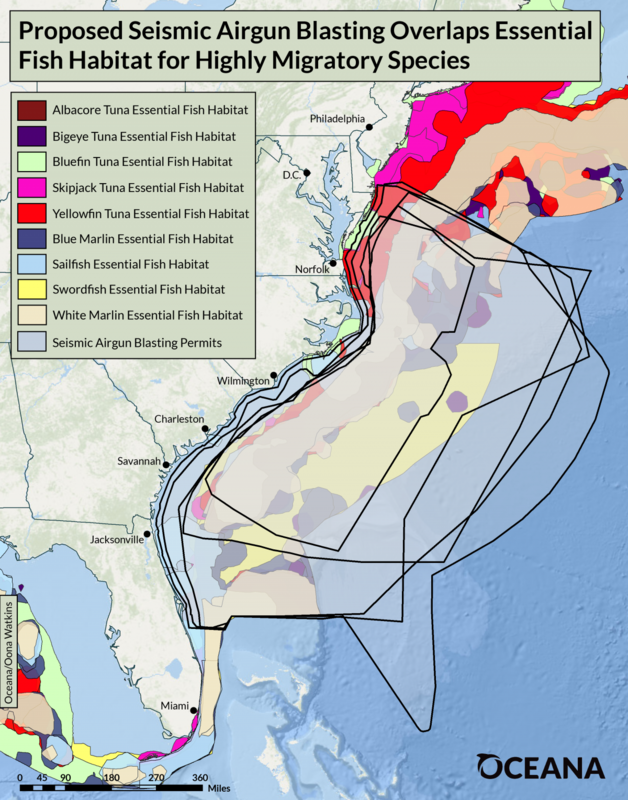 In a new set of maps by Oceana, we see the overlap between current seismic airgun permit application areas in the Atlantic and known habitats for at-risk turtles, whales and sharks, as well as commercially and recreationally important fish species. 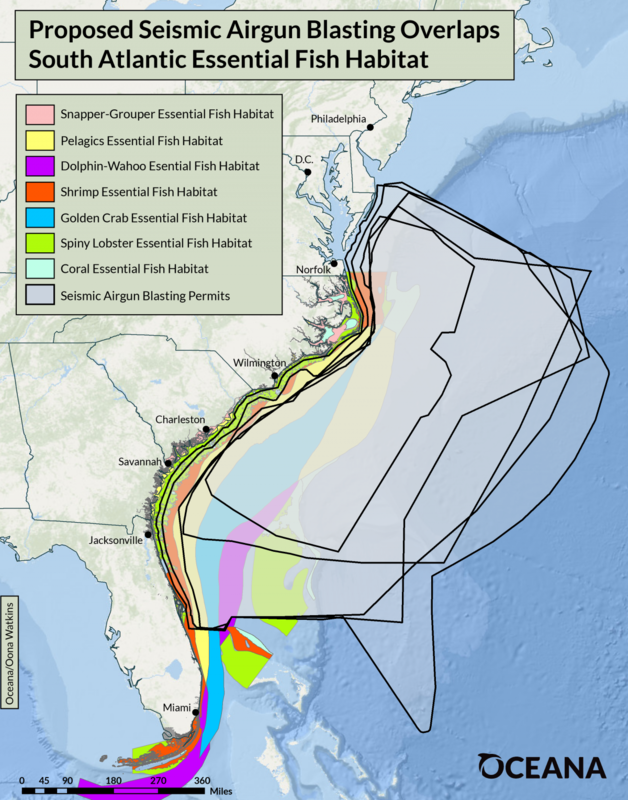 Specifically, Oceana’s maps show Essential Fish Habitat, areas designated by the National Oceanic and Atmospheric Administration as necessary for the spawning, breeding, feeding and maturation of federally managed commercial and recreational fish stocks, as well as Critical Habitat, areas required for the conservation of threatened or endangered species like the loggerhead turtle, scalloped hammerhead shark and North Atlantic right whale. 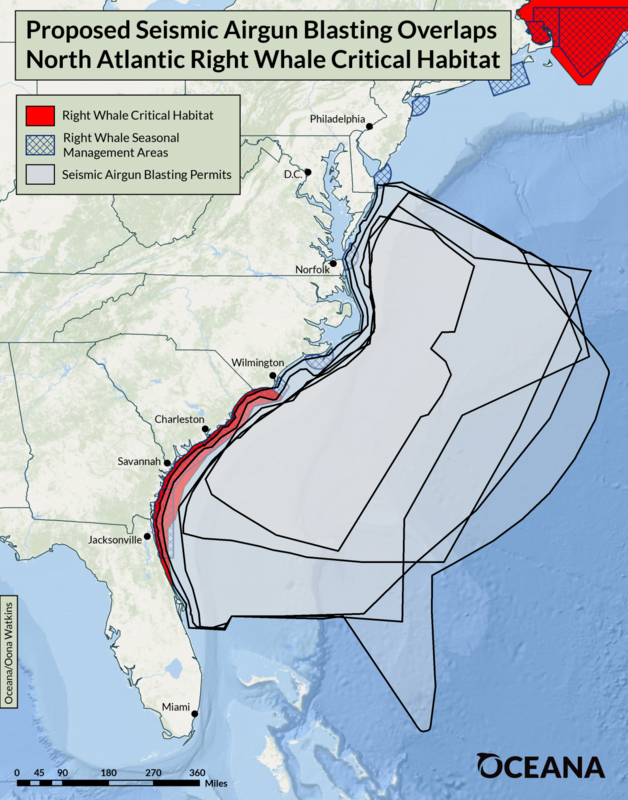 As seen in the map below, these habitat areas directly overlap with the large swath of the Atlantic currently being considered for seismic airgun blasting.